My trip to San Francisco earlier this year was my first visit to the city and I would definitely recommend that everyone travel there at least once (if you haven’t already). San Francisco is an absolutely beautiful place, and despite its reputation for steep, hilly streets, I found it to be very walkable. The key is to cluster your sightseeing to a specific area of the city, taking advantage of sights that are close by or within walking distance, as well as public transportation routes. Here’s a sample of one of my days in the city that covers some of San Francisco’s most iconic sights. 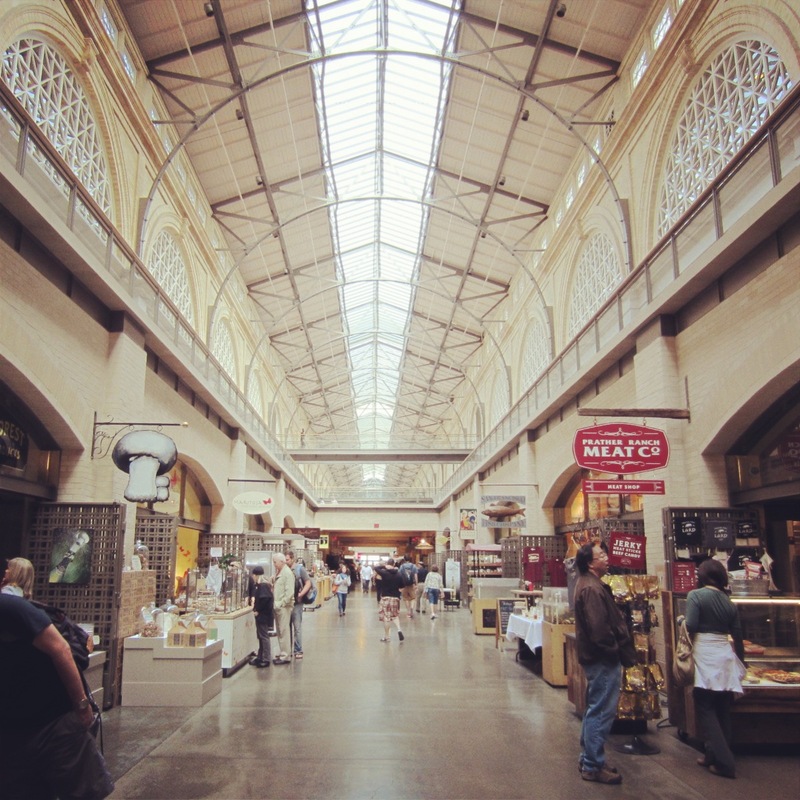 My day began at San Francisco’s historic Ferry Building, which is easy to get to using public transportation and good place to grab a quick bite at one of its many restaurants. On Tuesdays, Thursdays and Saturdays, there’s also a farmers market at the Ferry Building where you can get some amazing locally-grown produce. Since it was a beautiful morning, I walked up the Embarcadero along the coast towards Pier 33 where the ferries to Alcatraz depart. Your best bet for visiting Alcatraz is to buy tickets online in advance to avoid waiting in long lines. Earlier departure times are better too because the island will be less crowded. The ferry ride to Alcatraz takes about 15-20 minutes and offers a great view of the Golden Gate Bridge and an even better view of the Bay Bridge. After a brief orientation, you can join a tour or are free to explore the island at your own pace. I found it worthwhile to purchase the $1 brochure with a map of island, especially if you’re interested in Alcatraz’s history as a military fort-turned-federal penitentiary (with homes for guards and their families) until 1963. Inside the cellhouse, I was impressed with the audio tour that’s included in the price of your ticket. Narrated by former prison guards and inmates, the tour takes you through the entire cellhouse at a decent pace (you can pause it if you want to linger), taking you back in time with sights, sounds and fascinating first-hand accounts of prison fights, attempted breakouts and what everyday life was like on the Rock. The audio tour takes about an hour, and afterwards I found myself retracing some of my steps for a better look at the main cellblock area dubbed Broadway and the “instructions for operating Stewart’s patented locking device.” When you’ve had your fill, exit through the gift shop (where you can buy your very own tin cup or Al Capone mug shot coffee mug) and catch another ferry back to the mainland. After returning to the pier, I continued up Embarcadero to 3 other popular sights. First up was Pier 39, famous for its lounging sea lions – a population that peaks to nearly 900 in the winter months – along with family-friendly shops, restaurants and activities. Next on to Fisherman’s Wharf to indulge in a huge sourdough bread bowl for lunch. Just be sure to guard it from the overly-aggressive and fearless seagulls. Finally, Ghirardelli Square for an obligatory chocolate fix (when in San Francisco…). 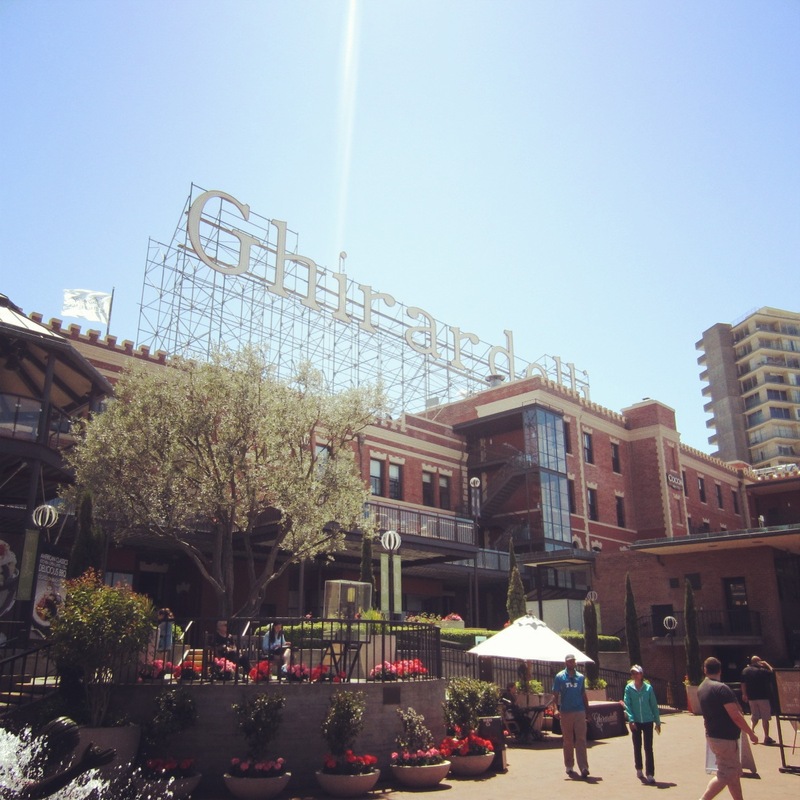 Today the site houses a few shops, restaurants and 2 Ghirardelli Ice Cream and Chocolate shops, but if you’re interested in its (rich) history as a chocolate factory dating back to the 1800s, look for the walking tour plaques scattered throughout the site. I purchased a few signature treats to take home, and learned that if you visit one (or both) of the Ghirardelli shops, you might be surprised with a free sample or 2. No trip to San Francisco is complete without a ride on the historic cable cars, so after my chocolate coma I headed to the park at the corner of Hyde Street and Beach Street to catch a ride on the Powell-Hyde line. This route takes you through Nob Hill and passed Union Square to the turnaround point at Market Street. 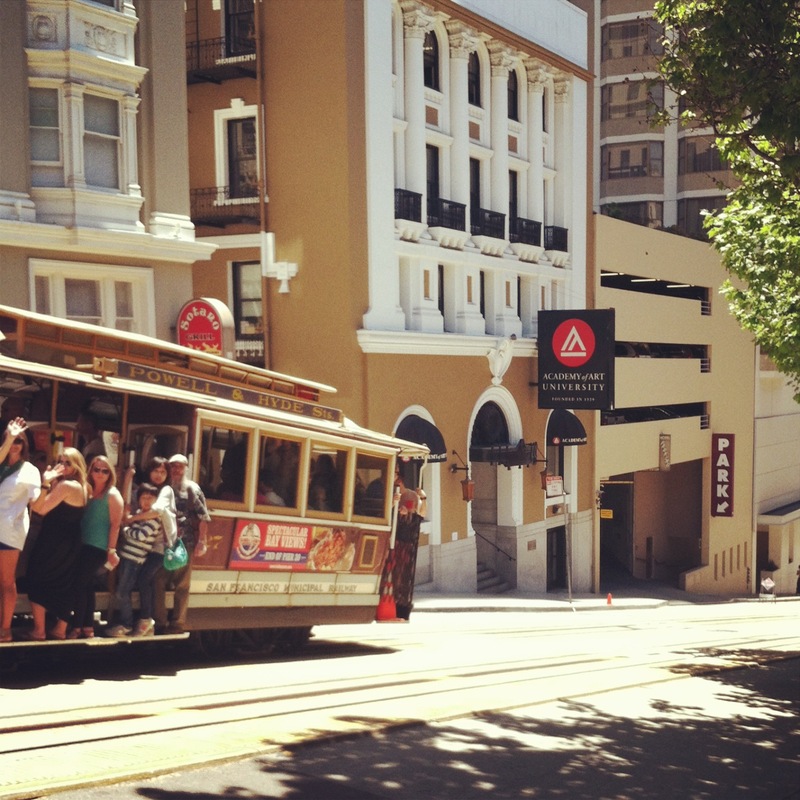 I wanted to ride the cable car from the top to the bottom of the route, but if the line of people is too long at the Hyde Street stop, you can save time by walking to the next stop and jumping on there. 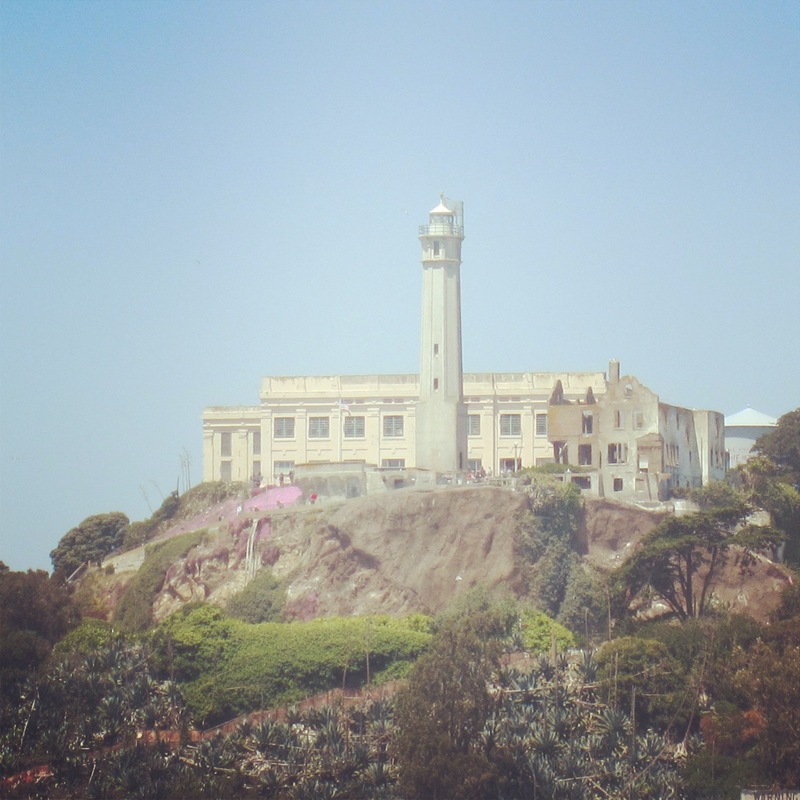 What’s your favorite sight in San Francisco? You’re welcome! It’s such a beautiful city with so much to see and do. I have a couple other posts to with restaurant recommendations and other tips if you’re interested. Have a great trip!